View of the Ambassador Bridge in Windsor, Ontario, crossing into Detroit, Michigan. Grew up in this neighbourhood. Great pic!!! 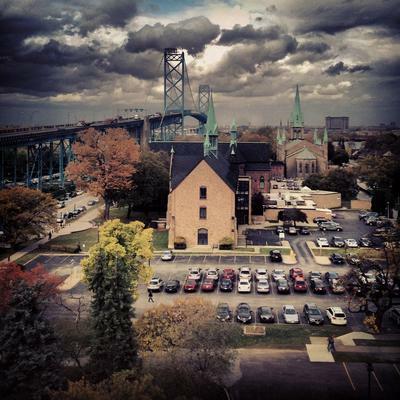 Very nice picture overlooking Windsor, Ontario.